I’m not sure what it is about travel professionals that is different from other entrepreneurs but “do I really need a web site?” is a pretty common question. I never really hear other business owners ask that question. They seem to accept it as a given, but for some reason that isn’t the case with travel agents. The best way I can explain my answer to this question is that it’s a lot like how I answer travel clients who ask “do I really need a passport for this cruise?” Do you absolutely, positively HAVE to have one… no. Is it a good idea to go without one? NO. Should you have one? YES. Is it worth spending the extra money to have one? YES. Not too long ago I was listening to a marketing expert speak. When she was answering questions from her audience, an agent asked a question about what she should have on her web site. The speaker asked the agent what her specialty was. It happened to be family vacations to Europe. The speaker said “what makes you think those clients are online? Why do you think a web site is the answer?” I was floored. OF COURSE those clients are online! I have a hard time imagining any target marketing that ISN’T online in this day and age. I agree that a well crafted marketing plan includes both online and offline marketing, but online marketing allows you to easily expand your market exponentially. Ignoring it is basically shortsighted. Your website is an extension of you that reaches out beyond your local network to connect you with the clients you are meant to work with. Let’s imagine for a second that a vacation was something you can hold in your hand. Picture that European family vacation wrapped up in a package with a beautiful bow. If “offline” marketing is your only option, you are largely limited to people in your geographic area. It’s like you are going door to door… on foot. Knock knock… “Would you like a vacation?” and then on to the next house. Using online marketing opens up a world of clients to you! It’s like now you can use trucks, trains, airplanes, and cargo liners to get your little boxes of vacations out into the world. That means more clients… more bookings… and more money. Even if most of your business is built on referrals, if you don’t have a web site, you are leaving money on the table. Even with a referral from a friend, most consumers are going to check a business out online before they buy, especially when they are looking at spending thousands of dollars. That’s true if we are talking about an appliance, a home makeover, or a vacation. You don’t have to spend a small fortune to have a web site that attracts clients online, but there is one thing your web site MUST have. That one thing is simple: you must have a blog section or some way for you to add an UNLIMITED amount of content. Don’t bother with a web site package that only allows you to add 3 or 5 pages. Make sure you are able to add content whenever you need to. Every now and then I hear people say things like “I’m just going to use my Facebook page instead of a web site.” Or who rely only on the generic web sites filled with supplier content that their host provides. I cringe when I hear those things. You see, your web site is YOUR piece of the web. It’s the property you own online. You know what owning the property means, right? It’s an investment, but it means you control it. You make the rules and no one can take it away from you. Consider it your virtual storefront. You wouldn’t build a physical building on land owned by someone else, would you? Of course not. That’s essentially what you are doing when you build your “web site” on Facebook or you use a free template based site that you just slap your name and logo on top of, but you don’t customize the content. I love Facebook for business, but I’m keenly aware that it’s Mark Zuckerburg’s party. The rules and user agreement change often, and if you find yourself on the wrong side of those rules on your page, all the hard work you put into it can disappear in an instant! The engine behind that template-based shop could shut down without notice. It could be broadcasting “special offers” that aren’t in line with your specialty and end up confusing clients who land on your web site. Or, more often than not, it gets clients to click away from your site and once they are gone, you risk losing them to “shiny objects” elsewhere on the net. Even worse, a lot of those sites land visitors on a supplier web site with just a few clicks! Controlling the content you post increases your credibility and instantly positions you as an expert in your niche or specialty. If you do opt for a site that loads content for you, I highly recommend that you make sure that your original content appears at the TOP of your home page. You want to make sure that your site highlights you so your potential clients immediately see what is special and unique about you, and why they should book with you! They can find that pre-loaded content in tons of places on the web, but they can’t find YOU just anywhere. Bottom line: if you want your business to grow in a BIG way, the answer to “do I really need a web site?” is a resounding YES. You need a web site and it needs to have a blog or some other way for you to post unlimited content. YOU need to be able to update it as needed. Even if you intend to keep most of your business local, having a web site will instantly give you more credibility and I would be willing to bet, it will get you new clients in the long run; clients who weren’t going to find you without an online presence. 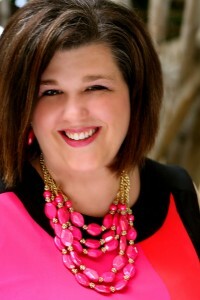 Lori Hardegree is a social visibility expert with TheVisibilitySolution.com and is the creator of the Visibility Marketing System, a proven step-by-step program to show you exactly how to stop being the best kept secret in the travel industry and start attracting new clients easily and consistently. Click here to download a free copy of her “99 Ways to Attract New Clients” checklist and receive weekly marketing and visibility strategies right to your inbox!